Men and women serving in the US Armed Forces often opt for a military wedding, making the pomp and ceremony of a marriage ceremony more spectacular with national pride and respect for tradition. Dress uniforms, the wedding chapel on base or a military academy, white gloves, and honor guards with swords, rifles or sabers … these elements create incredible, unforgettable memories that will be cherished for many years to come. 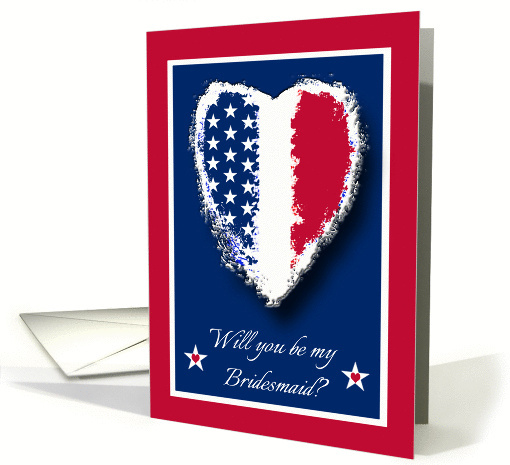 Greeting Card Universe knows how much friends and family want to celebrate a military bride and groom’s special day with Congratulations – Military Wedding cards in select patriotic themes. We also offer unique Military Wedding Bridal Party Invitations designed especially for the occasion of a lifetime. It’s the height of summer and Christmas is still months away. However, a deployed soldier, sailor, airman or Marine is still in need of home comforts and the small necessities and treats that make life in a war zone a little easier as well as reminding them of their loved ones at home. And here are more suggestions for What to Send to Someone Who Is Deployed as well as important Tips for Sending Care Packages to the Military Overseas. Include a selection of greeting cards for the serviceman or woman to give to their comrades. Greeting Card Universe makes it easy by offering special discounts on multiple card orders almost every day! 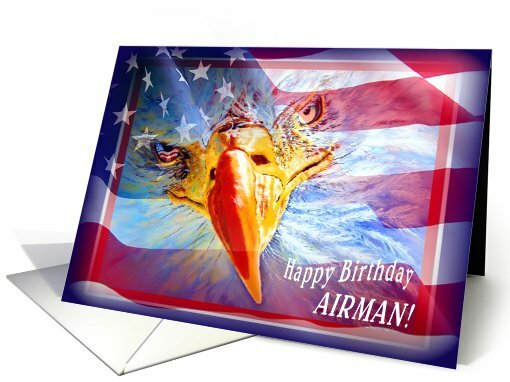 Choose from unique designs in our collections such as Christmas – Armed Service/Military Service cards, or Birthday – Armed Services/Military Service cards. And that’s just the beginning! Surprise your loved one overseas with a thoughtful and delightful package of goodies including greeting cards to make it a true Christmas in July. Each branch of the US Armed Forces celebrates a birthday each year, typically on the anniversary date of their founding by Congress. The occasion may include a traditional Birthday Ball or other celebrations by military personnel, service men and women, veterans, patriots, and their families and friends. The US Army was founded in 1775 on June 14 and celebrates its anniversary annually on this date. The US Navy celebrates its founding in 1775 on October 13. The US Marine Corps celebrates its 1775 founding on November 10 with a Birthday Ball. The US Air Force celebrates its 1947 founding on September 18 when it became a separate branch from the Army Air Corps. The US Coast Guard celebrates its 1790 founding on August 4 each year. 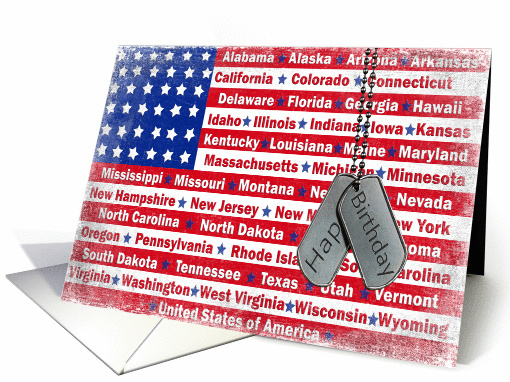 A soldier, sailor, airman, submariner or Marine’s birthday deserves special recognition with a one of a kind Armed Services/Military Birthday card designed especially for Americans serving their country with pride. Need a last minute card? No problem! Order on-line, get free in-story pick up—usually in 1 hour—at most Target and Bartell Drug Stores. “Boot camp” is a time when military recruits receive basic training and an introduction to life in the Armed Forces. Each branch of the U.S. military maintains and operates their own training facilities. How long boot camp lasts differs with each branch, but can be from 8 weeks to 12 weeks long. If you’re a U.S. military recruit and looking for tips, check out How to Survive Boot Camp. At the end of basic training and before their first deployment, a new military member typically receives leave (vacation). Many choose to return home to spend time with their family and friends. Greeting Card Universe knows you miss your loved ones when they’re away. 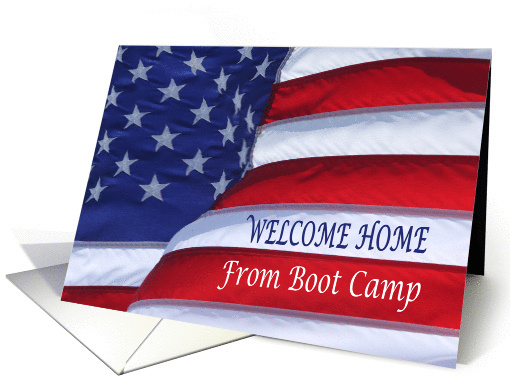 Our Welcome Home – From Boot Camp/Basic Training cardsare uniquely designed to send the right message of love and affection to a recruit who will be spending most of their time away. And don’t forget a Fourth of July card to celebrate America’s most patriotic holiday!